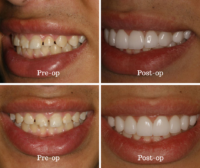 A post-ortho aesthetic case requires detailed treatment planning to achieve a successful result. Read on to learn how one dentist used a conservative restorative solution for exactly this purpose. A 17-year-old patient presented with unsatisfactory post-ortho results. After fracturing teeth #8 and #9 in a skateboarding accident, composite bonding was a stopgap measure simply to replace the missing tooth structure. 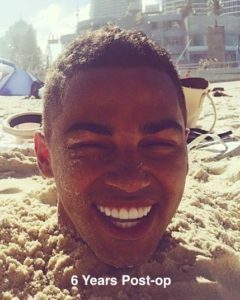 The patient was unhappy with the shape and length of his teeth, as well as the resulting spaces that were left after his orthodontia was removed. 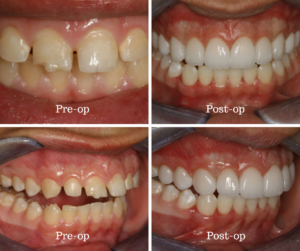 His parents wanted a long lasting but conservative restorative solution that would correct the aesthetic issues while also creating a stronger and longer lasting restoration for the centrals. What is your approach to post-ortho cases? We’d love to hear from you in the comments!